History Found this in Texas off eBay. 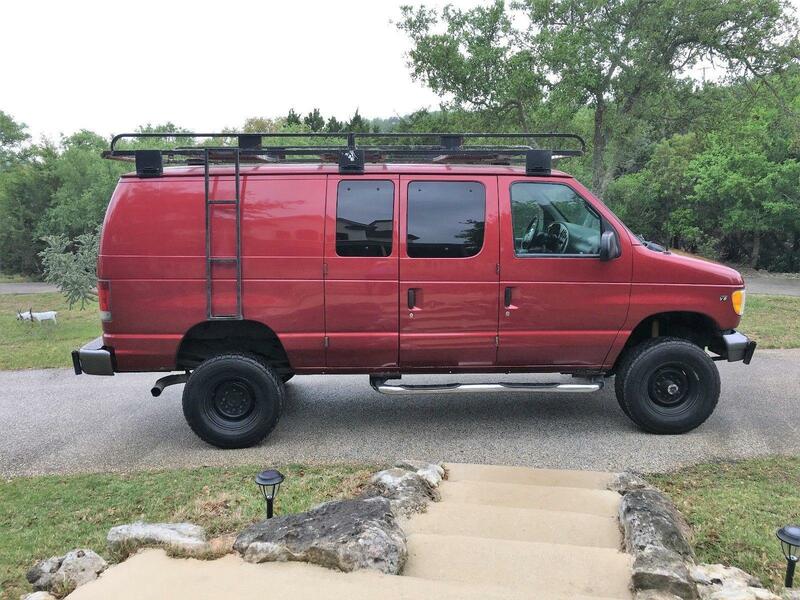 2002 Ford E350 4x4 is Toreador Red Metallic with Medium Graphite Cloth Front Seats. 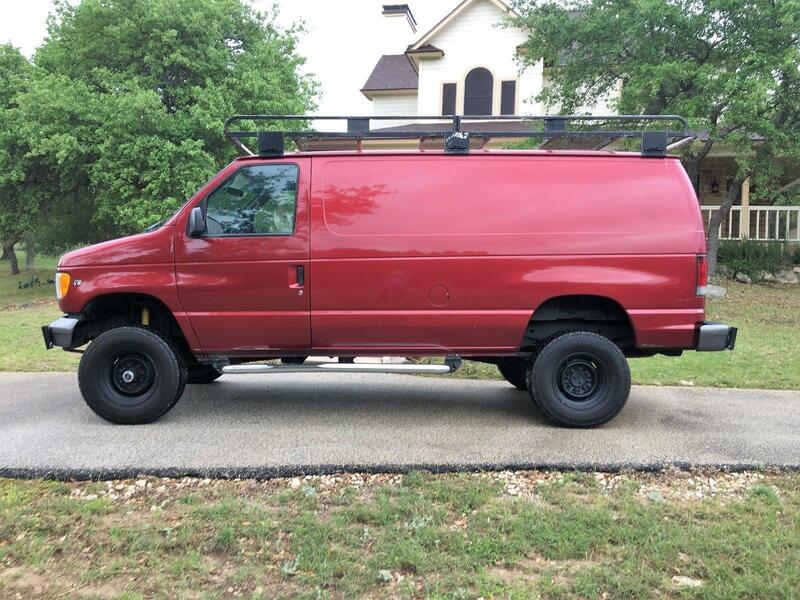 It has the following: 5.4L V8, Automatic Transmission, S AM/FM Radio, Air Conditioning, Power Steering, Power Brakes, Power Windows, Power Door Locks, Owner’s Manual, and One Key. Custom built full roof rack with rear roller to assist with lift items up top. Side ladder. Salem-Kroger 4x4 Conversion with coil over rears.